I am working into my fourth decade of full time clinical endodontics. 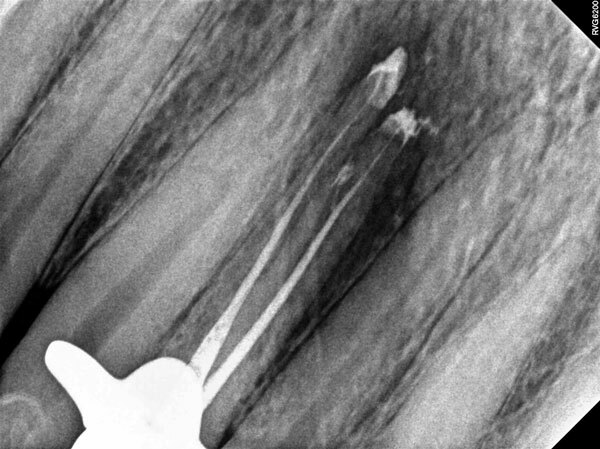 The impressive technology that we have in our offices for diagnostic purposes makes my clinical practice of endodontics much more satisfactory, as it provides images of pathology previously unseen or undetermined, although it might have been suspected. 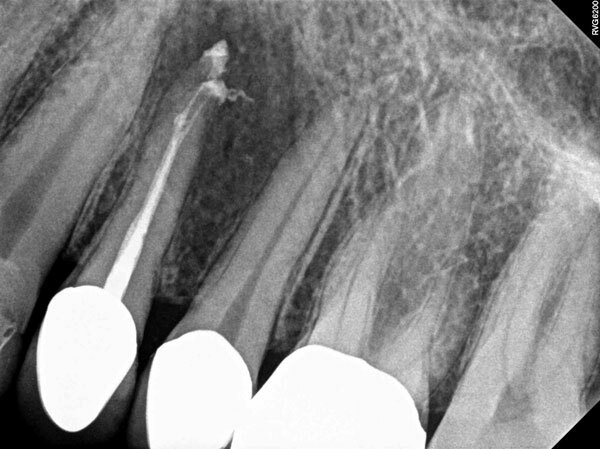 We reviewed and consulted the general dentists radiographs with the patient prior to requesting any further images. The following case presented by a 42 year old healthy male. Visibly swollen intra and extra orally and extremely tender. This young man presented completely miserable having not slept for the last two nights and traumatically fearful. The referral requested root canal treatment #13. 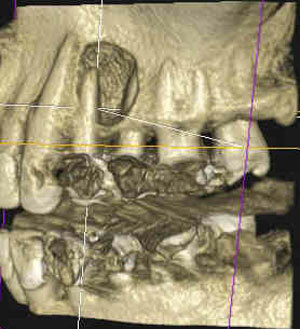 We then acquired a CBCT scan. 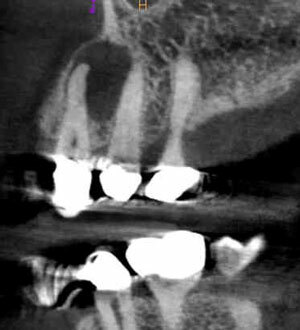 The coronal scan best initially visuals the etiology stemming from the first bicuspid. Further visual confirmation can be seen on the sagittal section. The axial slice also provides additional visual information. What would you do? How would you now recommend moving forward from a patient management standpoint? 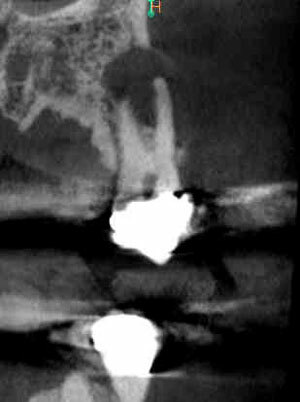 Specifically once you have determined the etiology of his problem with the wonderful help of the CBCT images, what would be your next step? Please comment below and let us know what you would do in your office. 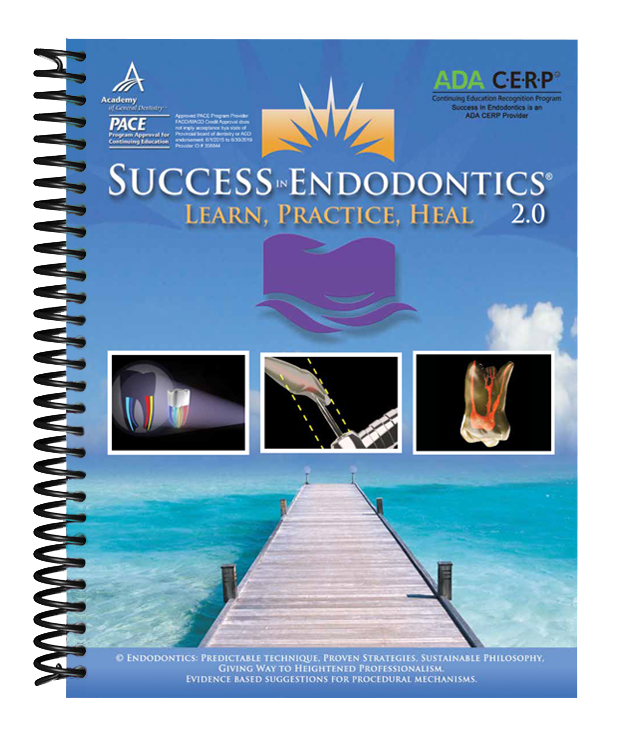 Success in Endodontics 2.0 is an evidence-based online endodontic textbook that shortens the learning curve to do predictable and successful endodontics. This comprehensive, continuing education program was designed for the general dentist who has completed less than 5,000 root canal procedures. Special Introductory price: $298 - Buy Now! 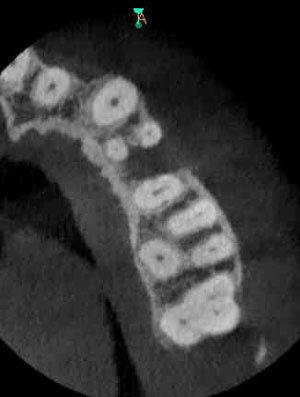 When do you recommend a CBCT scan?